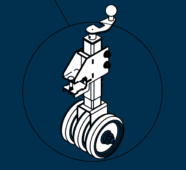 We are able to do limited trench curbing by use of special built auger housings, compaction tubes, and forms. 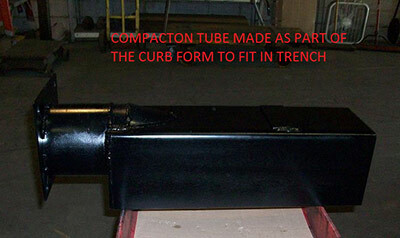 In this situation the entire auger housing, compaction tube and curb form are lowered into the trench. 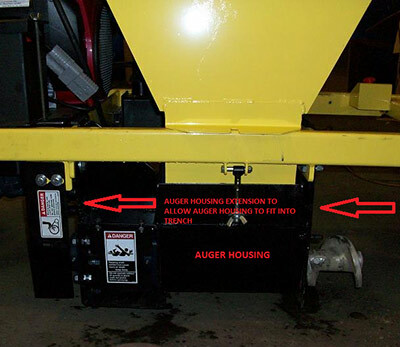 On the pictures below you will notice how the auger housing has an extension on it so it can be lowered into the trench. 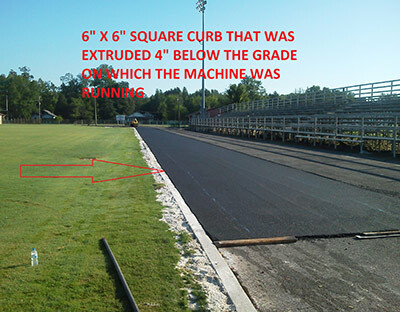 There are some limitations, however; consult the factory for your trench curb requirements.